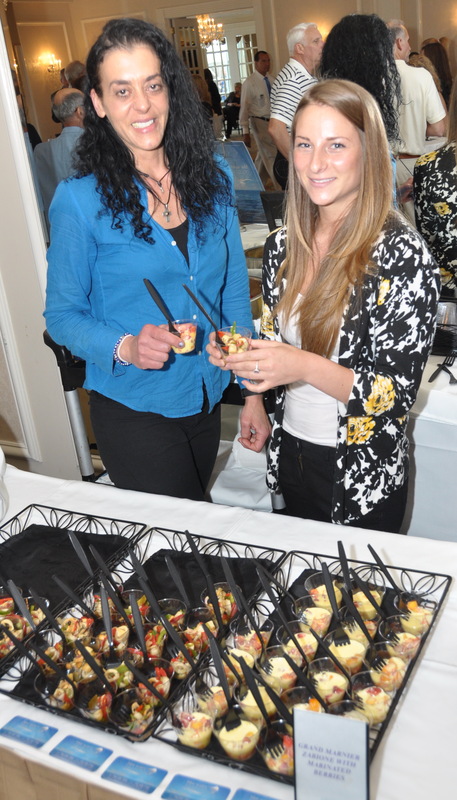 A review of the Party on the Promenade culinary event, that highlighted Red Bank's diverse restaurants. 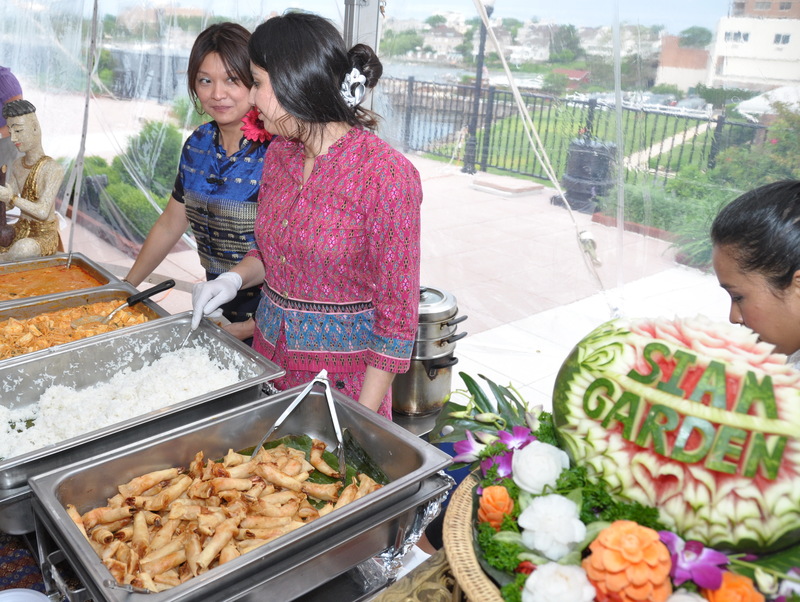 On May 23rd, the Molly Pitcher Inn in Red Bank hosted a Party on the Promenade. 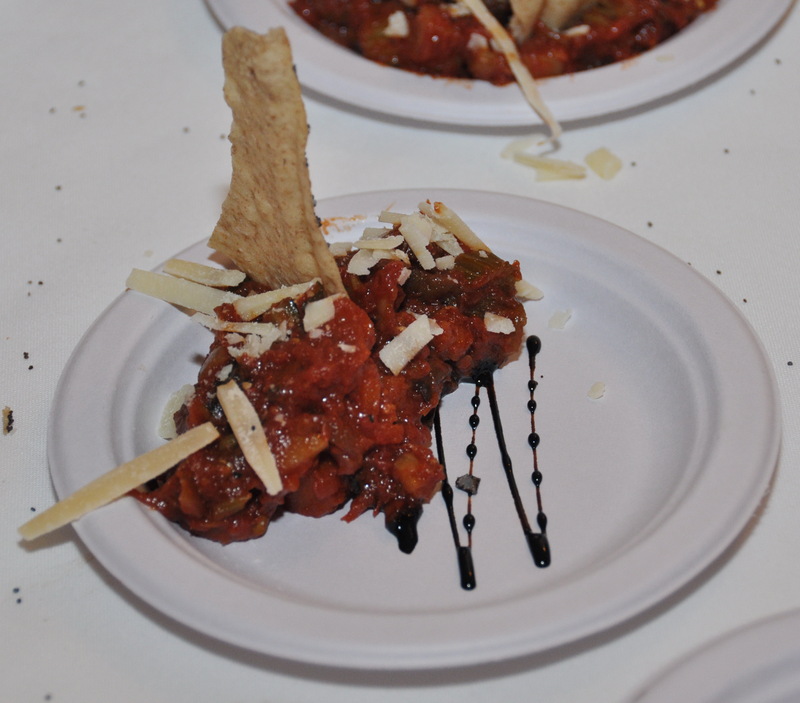 Like all the Red Bank Flavour events, it was a culinary celebration of Red Bank’s diverse cuisine, allowing guests to sample food from the town’s best restaurants, with part of the proceeds benefiting the Friends of Monmouth County Parks. Well… I started with desserts. 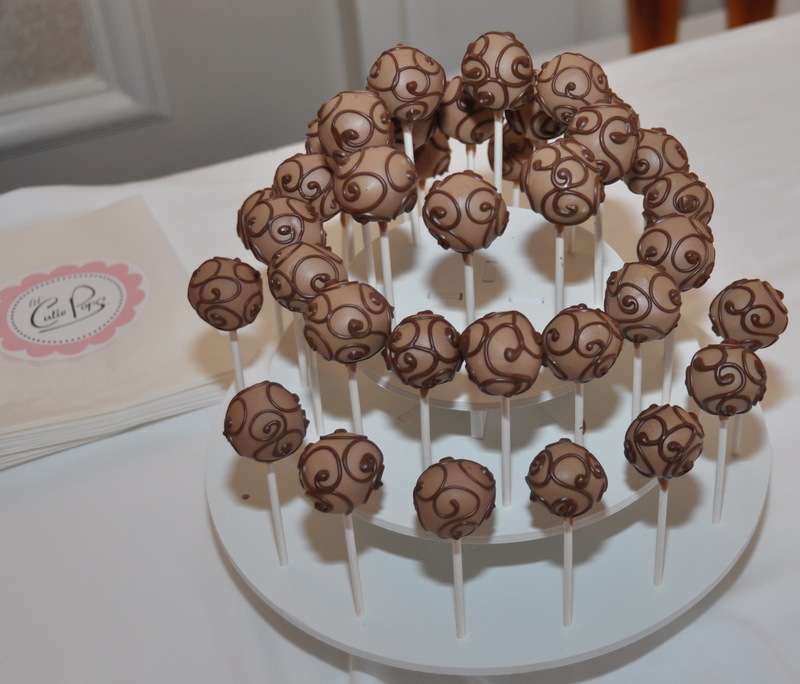 First time I heard about Lil Cutie Pops, and they had amazing Nutella cake pops and Lemon Thyme marshmellows. Especially the cake pops were so good that I came back a couple of times. Readies had a much better spread than the usual sandwiches, highlighted by barbeque chicken pastries. So good that again, I had to come back and get more. Tommy’s Coal Fired Pizza had both wings and meatballs and the meatballs were particularly good. Front St Trattoria went a fancier route, with balsamic roasted vegetables with poppy seed crisps. (heard they were very good, but if you know me, I’m not the best person to review veggies). Danny’s Grill had a nice surprise: In the absence of any Japanese restaurant, they offered spicy tuna sushi & California rolls, which were a very nice touch. Actually, I never had a steak at Danny’s, every time I go there I get sushi, because it is amazing (one of the best in the Red Bank area). Time for dessert again: Sugarush had their signature mini cupcakes but what I really enjoyed (a few times) where the delicious chocolate sticks! Blue Water Seafood is a place I really need to visit. They served a cold seafood salad, but what was special indeed was the Grand Marnier zabione with marinated berries (yes another dessert), which was really outstanding. Faustini Wines is a new store on Broad St, bringing Napa Valley flavors to Red Bank. I tried two white wines, and they were really good! I started with Stoli cocktails, they had two options (cranberry or raspberry mixed with Stoli vodka). R&R Distributors showcased The Seeker wines, and I tasted a pretty good Pinot Grigio. 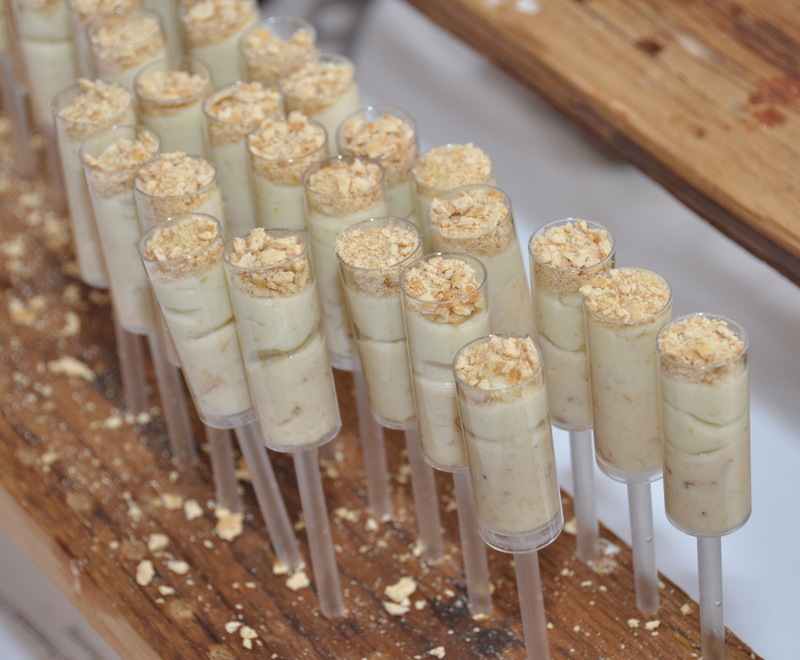 The Cheese Cave had my favorite treat, their awesome cheese push pops, in three different flavors! You really have to try these ones, just stop by the shop on Monmouth St, every Friday it’s $5 all-you-can-taste. 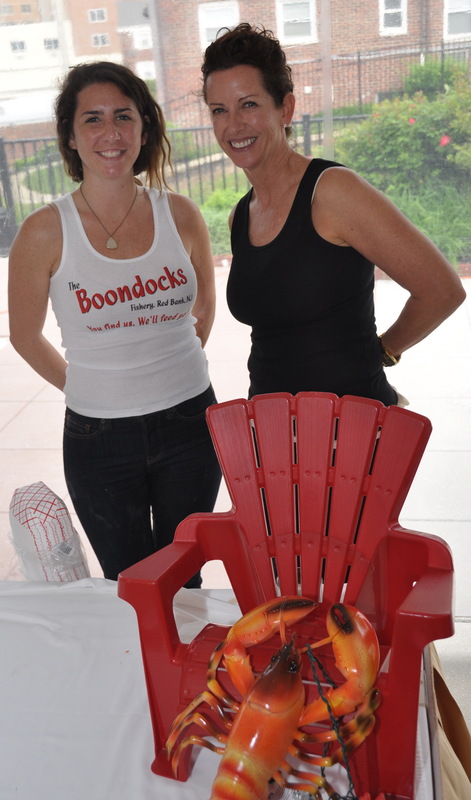 Boondocks has recently reopened, and the owner Kelly Ryan was there to serve her signature lobster rolls. I rarely go to Red for dinner anymore (I usually go to the upstairs lounge for drinks), but these events remind me how outstanding their cuisine is. Both the spicy tuna tempura and the chicken tacos were really good. While I’m not a big fan of Thai food, I loved Siam Garden’s Red Curry chicken! Their spread also included Spring rolls and Red Curry with Tofu. So many Italian restaurants in Red Bank, and I hadn’t had past yet. But Gaetano’s saved me, with very good spinach fusilli a la vodka. 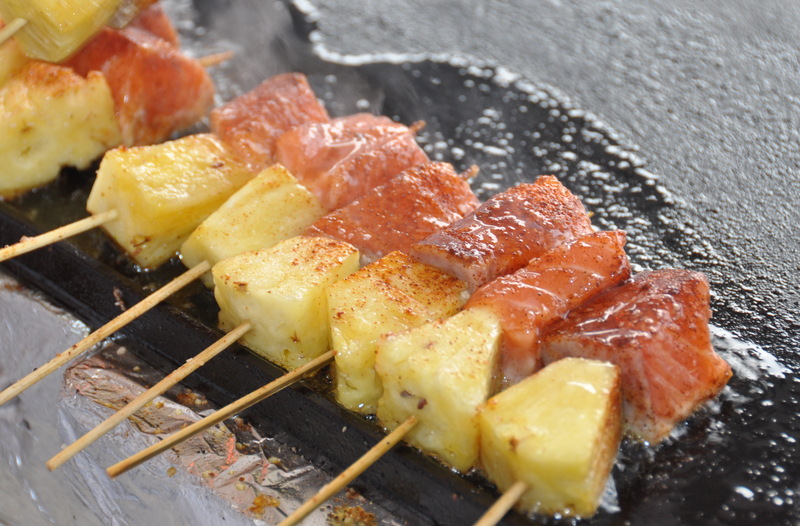 And now onto one of my favorites of the night: Ancho chili spiced salmon & mango salsa by Pearl at the Oyster Point: A piece of salmon seared in front of you, on a stick with pineapple, marinated with chili, and then covered in mango salsa. Amazing! Next to them, Molly Pitcher Inn had some very creative Malpaque oyster shooters with Bloody Mary, Margarita or Mojito. Teak was another Thai option, with dumplings and delicious fried rice. To finish the tour (before going for second tastings), I tried Tanteo’s flavored Chocolate Tequila, strong but tasty! They also had jalapeno and other fruit flavors, but if you went through this, you can figure out I already had enough drinks. So yet another great Red Bank Flavour event, where even though most restaurants were well known, they had new offerings that made me (and probably others) willing to revisit them. In case there’s someone missing, I either didn’t try their food, or it wasn’t really satisfying (I want this to be a positive story about Red Bank’s cuisine). 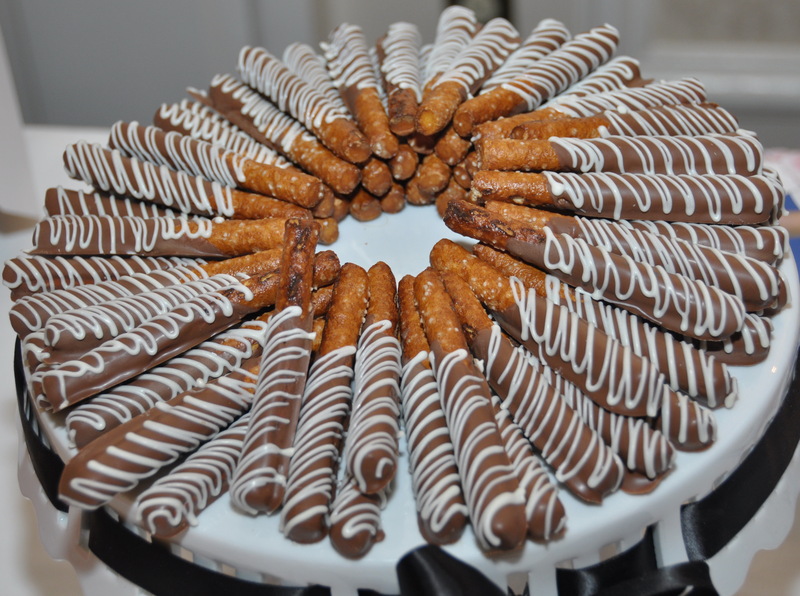 Next time Molly Pitcher hosts a similar event, don’t hesitate to attend it, the food and drinks are well worth it.